It’s called the Forêt des Singes, or the Monkey Forest, and the name hides nothing. This natural reserve just seconds from Rocamadour, is a sanctuary for the endangered species of monkeys called macaques. Native to the mountains of northern Africa, the monkeys are entirely at home in Rocamadour, with warm coats growing for the winter before shedding in the warm summer months. But this is no ordinary zoo. As I walked up to the gate after buying tickets, the guard laid out the rules for the park before handing us each a handful of popcorn. The adventure began. Strolling through the pathways in the forest, I was immediately greeted by several disenchanted monkeys sitting on the rocks lining the paths. They sat there, fully aware of what we were there to do. Per the gatekeeper’s instructions, I stretched out a hand with a piece of popcorn. Lethargically, and avoiding eye contact, the macaque reached out and snatched up the popcorn, his little claws brushing gentry against my hand. He slowly shoved the kernel into his face, bits of it falling across his little furry chin. The idea behind the sanctuary, established in 1974, is to preserve this species and educate Europeans about the monkeys by encountering them directly. Three other such sanctuaries exist in Europe, and they have a reintroduction program to help the reestablish the wild population. As I continued walking around, monkeys were plucking popcorn from the other visitors, while other monkeys – clearly not ready for snack time – were lounging in the grass, grooming each other, or swinging overhead. Children giggled as they searched for the next monkey to feed. Some seemed kinder than others, and I reserved my popcorn for the monkeys that seemed genuinely nice. I could just tell. I caught a presentation by one of the sanctuary workers – who also offered to speak to visitors in English – and she explained the social interactions of the monkeys. Since 1974, for example, she said no human has ever witnessed a birth, since they happen high in the trees. Even monkeys like a little privacy. Visitors of course cannot pet the monkeys or cuddle with them, but the macaques break the rules from time to time and get a bit too close. I was feeding one on a bench when one of the workers walked over towards me, and the monkey darted away. The worker explained that they aren’t supposed to be on the benches, and this one knew she was being cheeky. After an hour or so of handing out my popcorn kernel by kernel, it was time to leave. I could tell the macaques were hitting a saturation point with the snacking, even though the workers explained it was a healthy, low-calorie snack – no butter added. They are fed a full diet of fruits, veggies, and grains, so the popcorn is just a little extra. 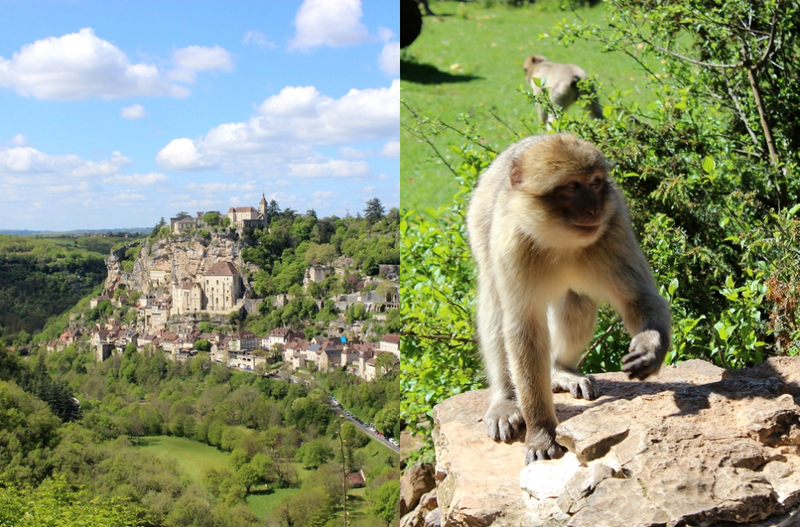 Upon leaving the macaques, I took one last glance at the magical town of Rocamadour, which was certainly worth the journey. But how often do you get to pal around with endangered monkeys? 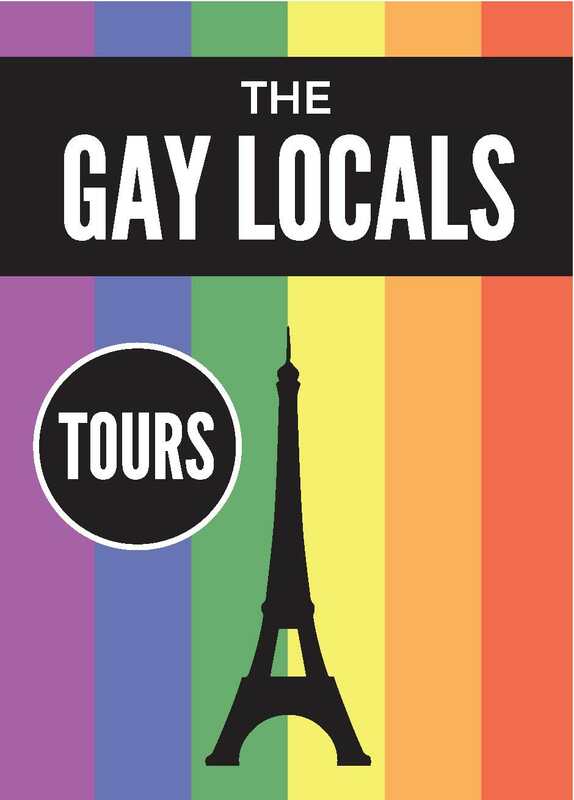 France certainly keeps the surprises coming. How fun and bizarre Bryan. Is it far from Paris? It's about a 6 hour drive from Paris...but we coupled it with a trip to Limoges.